New Delhi: As the nation celebrated Diwali, Team India created history by winning One Silver (Mohit Dudeja), One Bronze (Kiran Sudhakar) and Nine Medallion of Excellence at the 44th WorldSkills competition concluded in Abu Dhabi yesterday. This is India’s best performance since it started participating at these competitions in 2007. The Indian team was competing with candidates from 59 other WorldSkills member countries. Mohit Dudeja won a silver for Patisserie and Confectionery whereas Kiran bagged a bronze for Prototype Modelling. 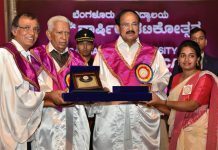 Nine Medallions for Excellence were won in trades/skills like mechatronics, brick-laying, restaurant service, automobile technology, jewellery, graphic design technology, mobile robotics, beauty therapy and car painting. With winners being presented medals at a glittering closing ceremony on the day of Deepawali, Indian participants and winners have truly made the Festival of Lights sparkle for the country! Mohit Dudeja also won the “Best of Nation” award for receiving the highest marks among the India Contingent. Shahad Shahida Manzil came 3rd in 3M Sustainability Challenge for optimal utilization of paint during the Car Painting competition. 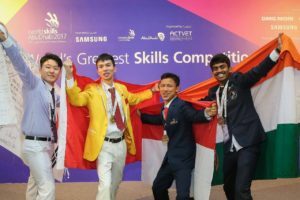 1,300 young people from 59 WorldSkills Member countries and regions showcased their talent across 51 skills competitions, between 15-18 October. This was the first time that the WorldSkills Competition has been held in the Middle East and North Africa region. A young team of 28 participants in 26 skill categories represented India this year led by, National Skill Development Corporation (NSDC) under the guidance of Ministry of Skill Development and Entrepreneurship (MSDE). Some of the Indian Experts who trained the competitors in their respective skills, were also elected to perform following responsibilities at the next WorldSkills competition scheduled in 2019 at Kazan, Russia. 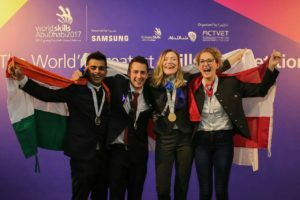 Chirag Goel, who represent India at the WorldSkills competition in 2015 has yet again been chosen as one of nine Champions Trust representatives who promotes World Skills Competition all across the world. Champions Trust is a group of Champions working to help bridge the gap between Champions and WorldSkills once the competition is over. 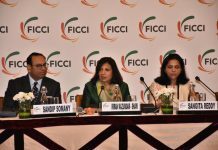 “Platforms like WorldSkills help us make skills aspirational for the youth of our country. As a token of recognition and to encourage more youth to take up skills, we would be awarding cash rewards to the winning candidates who have brought laurels to the country. 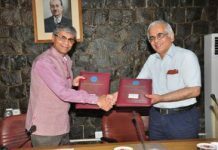 The country will continue to invest in training and education, as part of a strong commitment to youth development, which is a fundamental aspect of the India Vision 2022,” Shri Pradhan added.